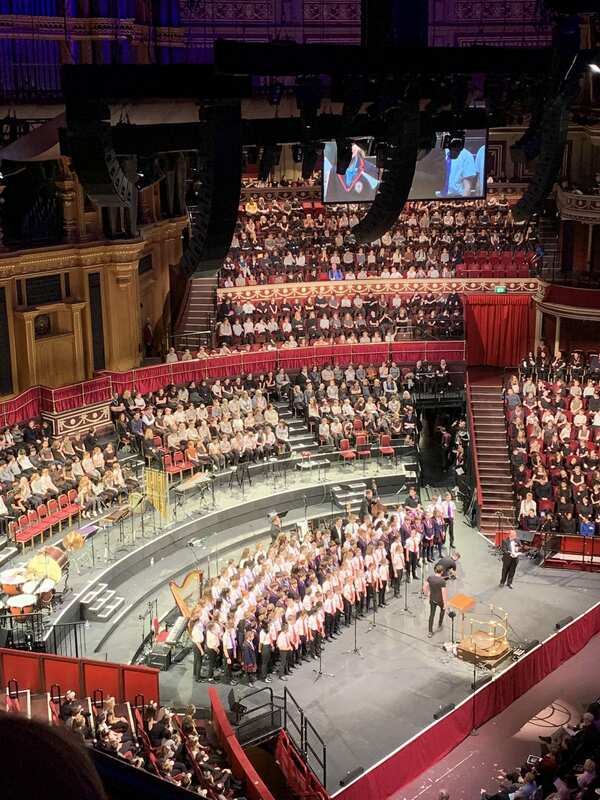 On 11th March the Chamber Choir and Year 5 participated in a concert organised by Berkshire Maestros, taking place in none other than London’s Royal Albert Hall and performing alongside some of the country’s finest musicians and over 1,500 schoolchildren. Our Chamber Choir sang a rapturous rendition of Bob Chilcott’s A Little Jazz Mass alongside Berkshire’s very own Youth Choir, who had requested specifically for our singers to join them, while the Year 5 pupils banded together with a host of other primary schools to perform Nigel Hess’ musical RATS!, whose songs were all received with impassioned applause from the audience. Following a long day (and a first-hand look into the life of a performer..! ), the children left with an experience that any musician would dream to have under their belt, and with the knowledge that they had played a major part in what was, for so many, a truly memorable night.